CapeTours is a small family business owned and run by Þórunn and Bjarni from their home in the rual village Grenivík. Both are outdoor enthusiasts with a love for nature. Þórunn and Bjarni are keen on slow travel and engurage people to stay at one place longer, rather than visiting more places on the go. Bjarni is CapeTours guide and expert on the outdoor living and experience. His love for nature starts in the Danish scouts when he was 6 and he has been sailing canoes and building shelters ever since. Canoeing turned into seakayaking later on and Bjarni has been instructing in both sports for about 10 years. Bjarni does not stop at sea level as he hikes (mainly looking for sheep), skiies and snowboards aswell. Bjarni has a bachelor decree in tourism. Þórunn is the definition of an Icelandic farm girl. Growing up on a Icelandic sheep farm has given her a good sence for Icelandic animals and fauna. Be it berries or flowers, birds or mice, she knows. She has been angling for trout since she could hold the rod and riding the Icelandic horse since she could sit. If you ask nicely she might even make you a traditional Icelandic lamb stew. Þórunn has a bachelor decree in biotechnology. 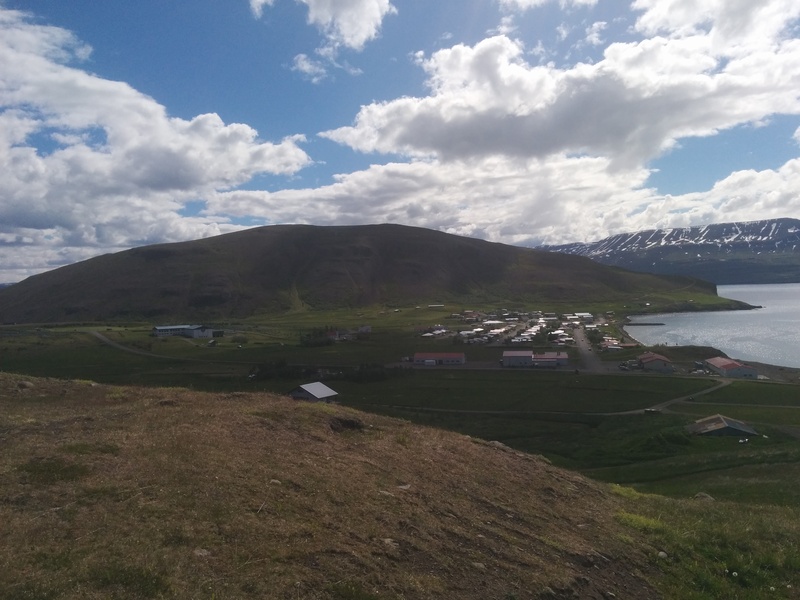 We at CapeTours operate from a small rural village, called Grenivík, in north-east Iceland. The following map will show you how to get to us. Just zoom in and look around. We at CapeTours love adventure and during both work and play we have experienced amazing things. At your request we can make a tour that is tailored to your every need. Just contact us and we will make your trip unforgettable. We will take you out to experience the harsh but mysteriously beautiful winter nature. Be it building a snowman and drinking hot chocolate or battling the winter storm! We at CapeTours will take you safely through the day. CapeTours operate in the rural town Grenivik in Grýtubakkahreppur in Northen Iceland. We are proud supporters of the Slow Travel idea so we would love to recommend you to our friends in the region. Up on the hill, right when you enter the village you will find the camping site, a gym and the swimming pool with a hot tub. Read more about the camping site here and more about the swimming pool and gym here.